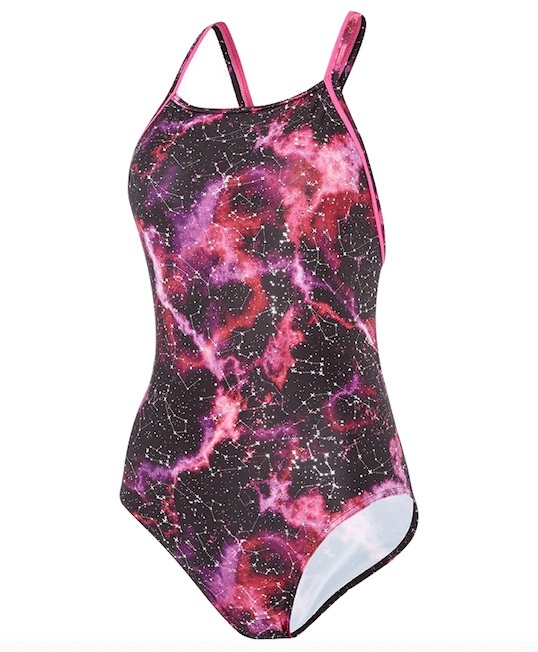 Let yourself be transported to a parallel universe in our Constellation Ace Back. A magenta nebula shines out with the help of or our constellation foil in silver. This chic costume features our Ace back ? a great style for training or leisure swimming.